Pre-pasted, paper-backed, solid vinyl wallcoverings are economical, and they are often touted as “kitchen and bath papers,” because the vinyl surface is resistant to water and because it can be washed better than paper papers. But these products often perform poorly, especially in rooms with humid conditions or where they may be splashed with water, such as bathrooms, kitchens, and laundry rooms. It’s very common for the seams to curl, as you see in the photo. In some cases, the seams never look good, even when the paper is newly hung. 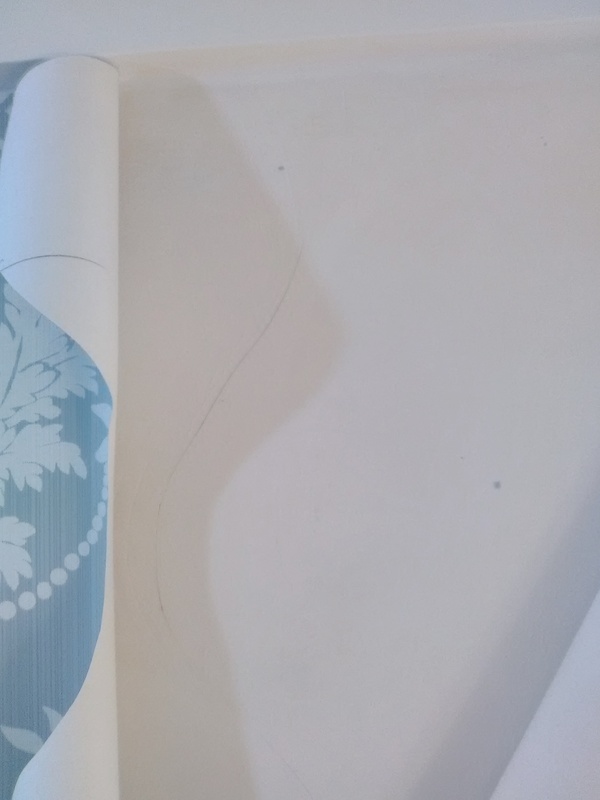 The curling seams are caused, in my opinion, because the paper backing absorbs moisture from the air, or if water is splashed onto a backsplash and can be wicked up into the paper backing of the wallpaper. The paper expands, the vinyl doesn’t, causing it to curl back. Then the vinyl actually delaminates from the paper backing. This is not a “loose seam” and cannot be simply glued back down. The two layers of the product are coming apart, and cannot be repaired. My advice – avoid these papers. 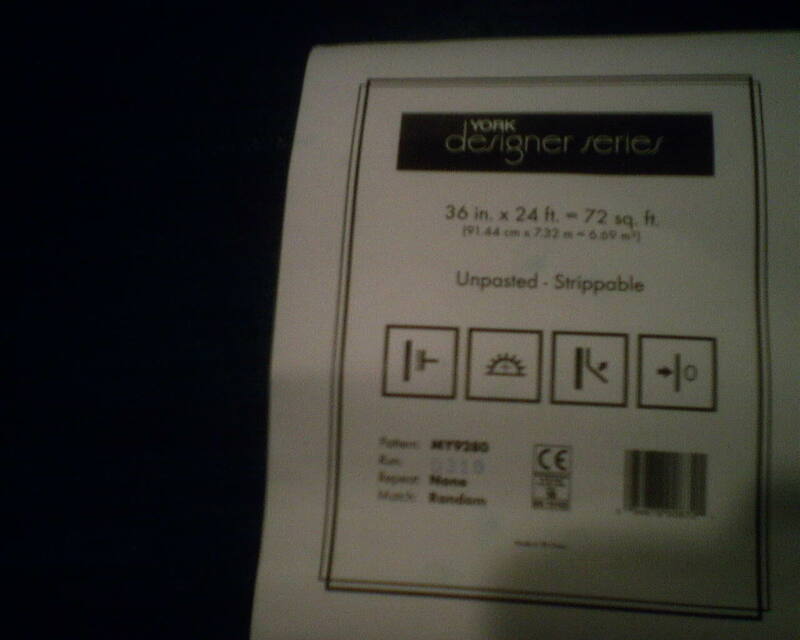 Instead go for a paper paper, or one of the new non-woven papers. More info on choosing a quality paper in the “Beginning – General Info Pack” page to the right. 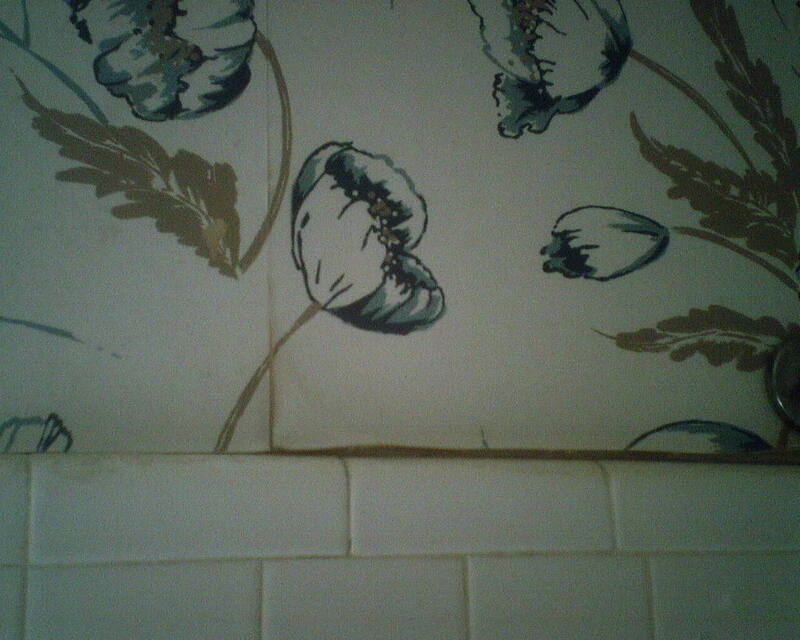 Solid vinyl wallpapers are often marketed as “kitchen and bath” papers, because they are somewhat more washable than other types of wallpaper, and because splashed water will run right off the vinyl (plastic) surface. However, I find just the opposite with these solid vinyl papers, particularly the pre-pasted, lower-priced ones. The seams generally never look great to begin with. Then the porous paper backing tends to absorb moisture, such as humidity in a steamy bathroom. When the paper absorbs moisture, it expands, and when it expands, it has nowhere to go but to push away from the wall – causing a curled seam. 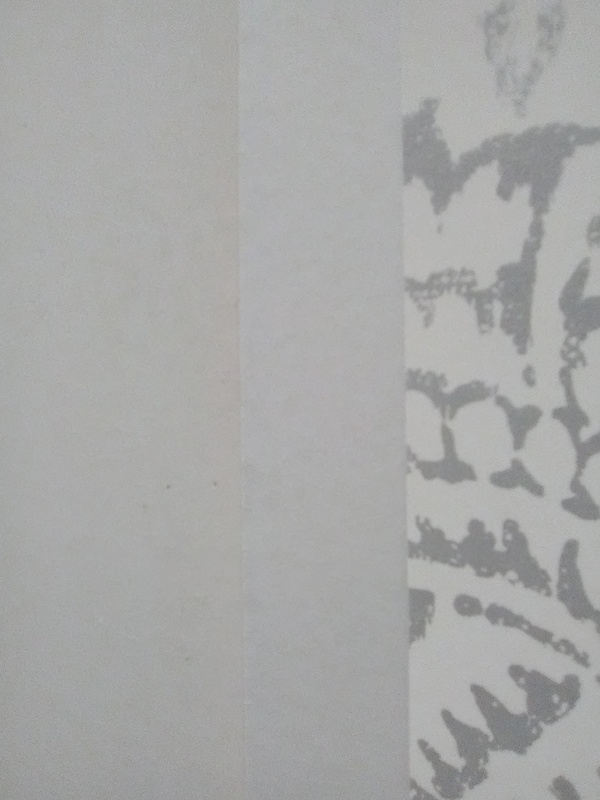 Often the top vinyl layer even starts to delaminate from the paper backing. 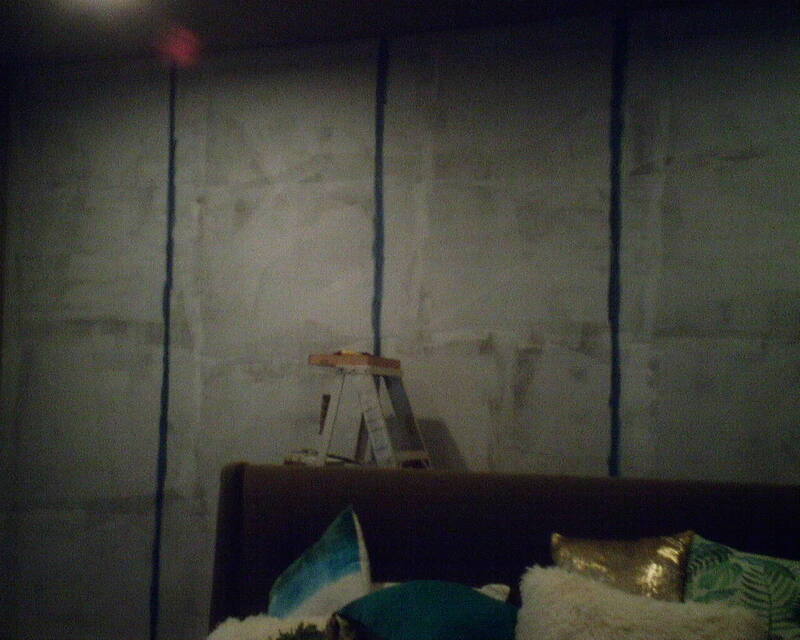 Humidity is a factor, but so is improper wall prep. 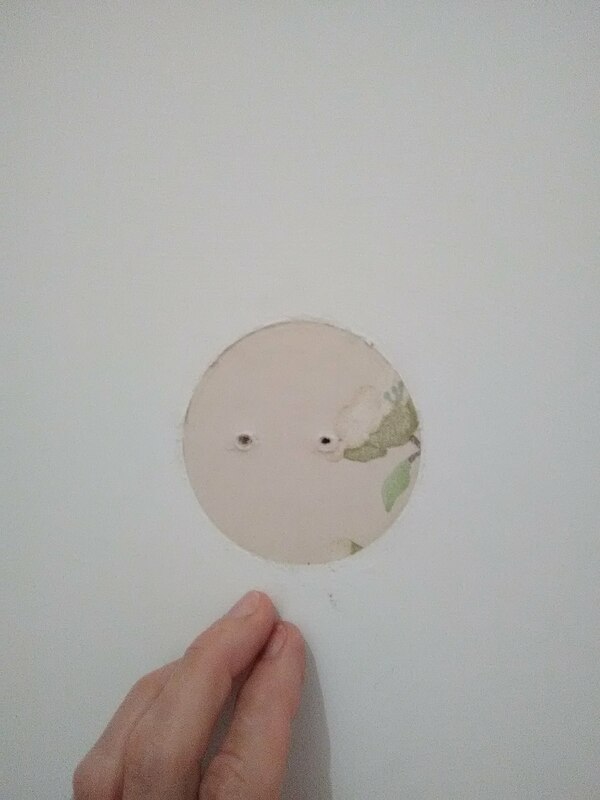 Usually, when there are curling seams like this, the previous installer neglected to prime the walls, and just hung wallpaper on top of the bare drywall. In the two photos with paper curling away from the top of the baseboards and from the top of the granite countertops, it is not sticking because the surface beneath it is slick – overspray of gloss paint from the woodwork, caulk used around the top of the backsplash. Again, a primer would have prevented this. 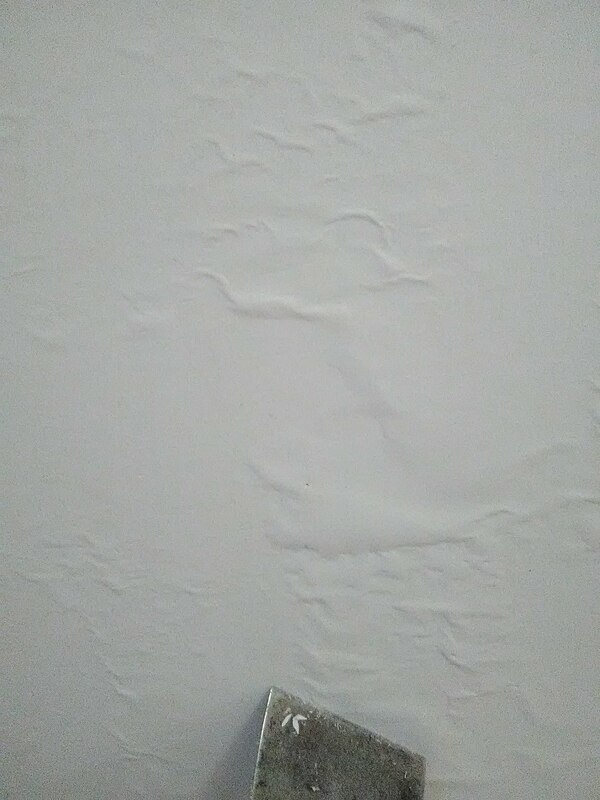 I also like to run a bead of caulk around the top of the backsplash, to prevent splashed water from being wicked up under the cut edge of the wallpaper, which would cause curling. 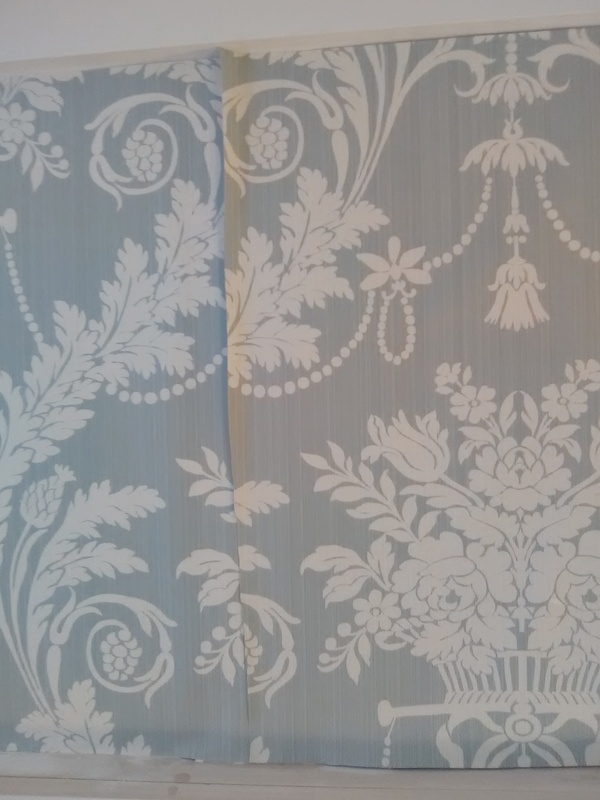 I have blogged a number of times about curling seams due to crummy paper-backed, pre-pasted solid vinyl wallpapers. Choose some key words and do a Search here to read more. I am grateful to the home ower, for the first two photos. 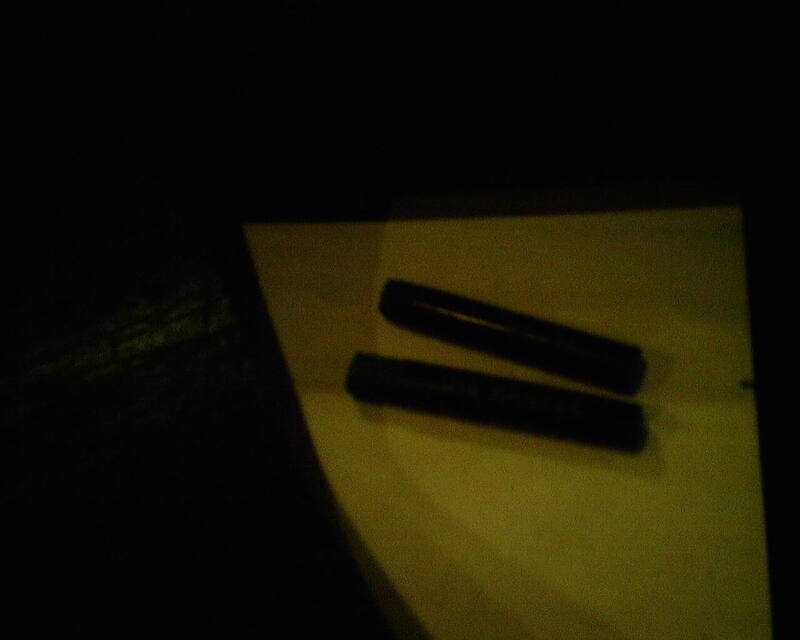 And apologies for my own bad photos – this was very dark paper in a room with poor lighting. 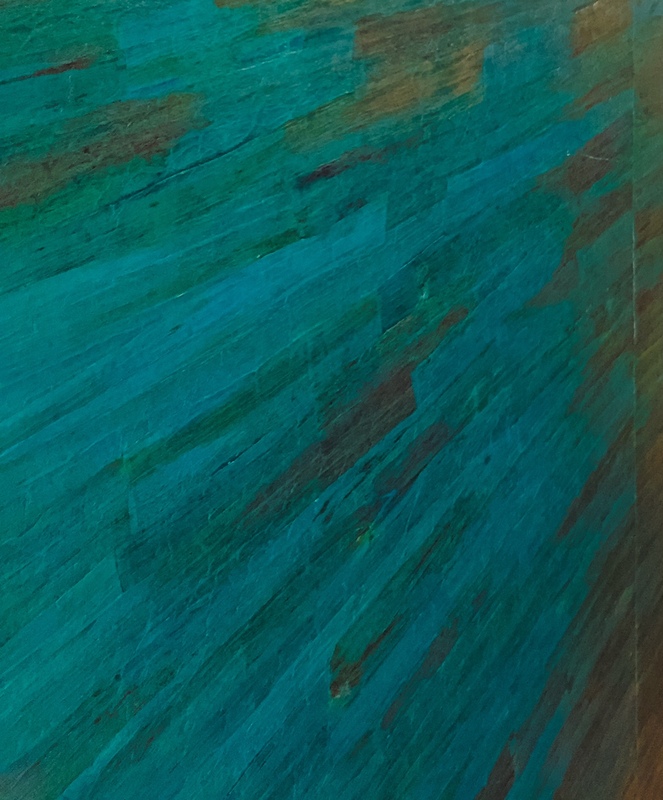 In reality, the wallpaper is gorgeous – a very deep and rich teal with a sheen to it. And what’s extra cool is that the texture comes from lotus leaves! 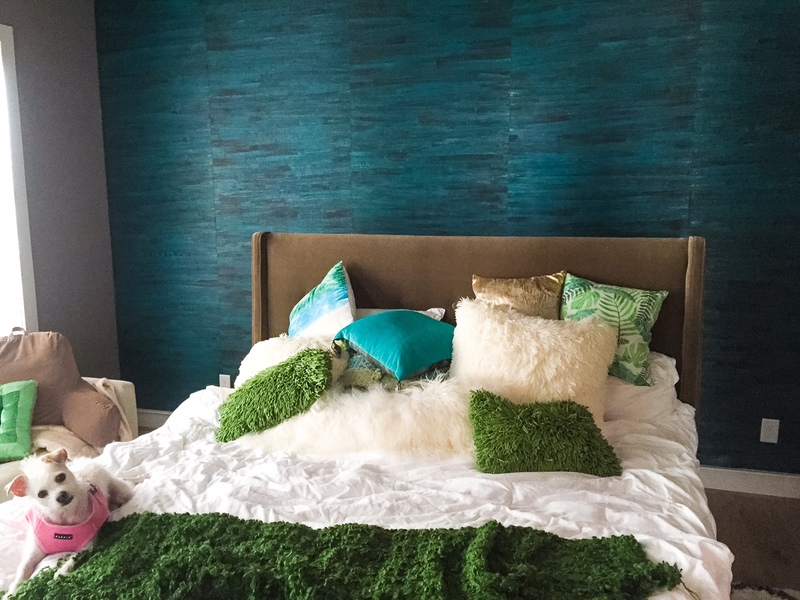 The homeowner loves green, and she wanted a texture for the wall behind the bed in her master bedroom in Montrose (Houston). 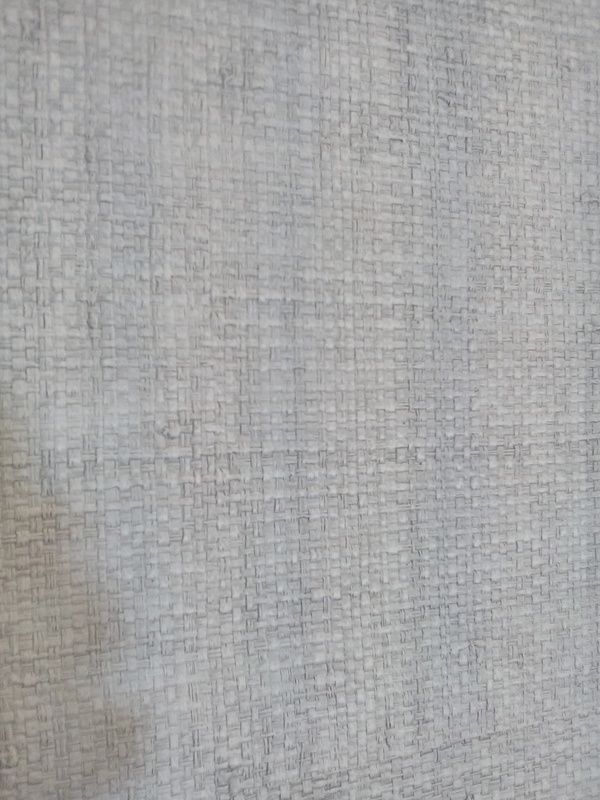 She was originally considering grasscloth, but after getting my “lecture” warning about shading and paneling (color variations inherent to grasscloth), she searched further, and came up with this unique and dazzling paper. The top photo shows you a bit of the texture, and just a hint of the deep teal color. The material was difficult to work with. 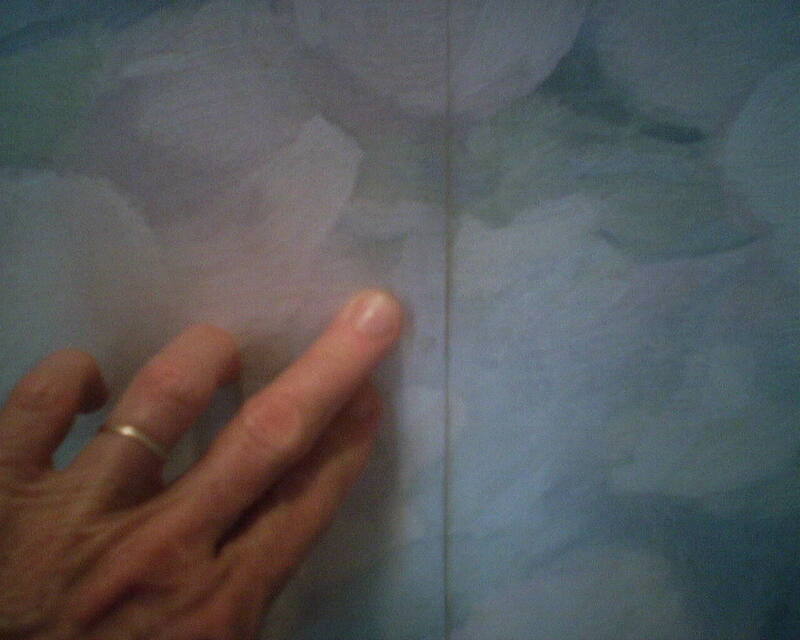 As with most natural materials, I was sure there would be gaps here and there at the seams, so I stripe the wall with paint to match the color of the wallpaper (Photo 2). 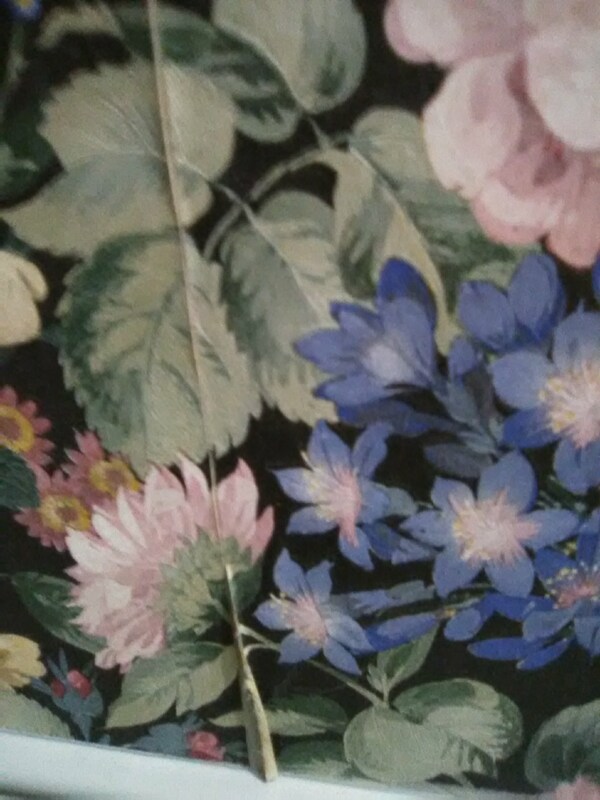 The lotus leaves on the surface were dyed very dark, but they were attached to a light colored substrate, so Photo 3 shows the deep blue and deep green oil pastel crayons I used to color the edges of the paper, so white would not show at the seams. 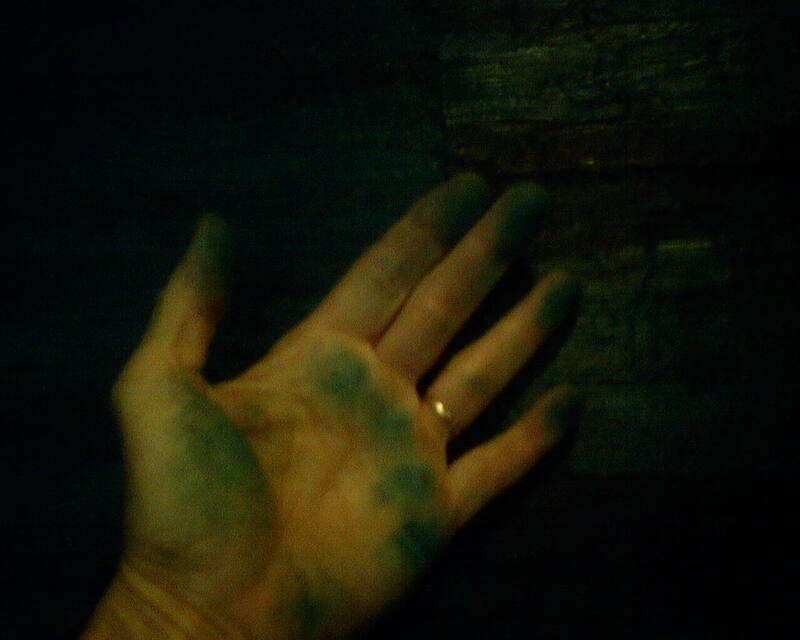 As with many dyed wallcoverings, the ink was not stable, so I ended up with hands the color of the paper. The instructions said this was a paste-the-wall product. I had my doubts, but used that method for my first two strips. Not good. 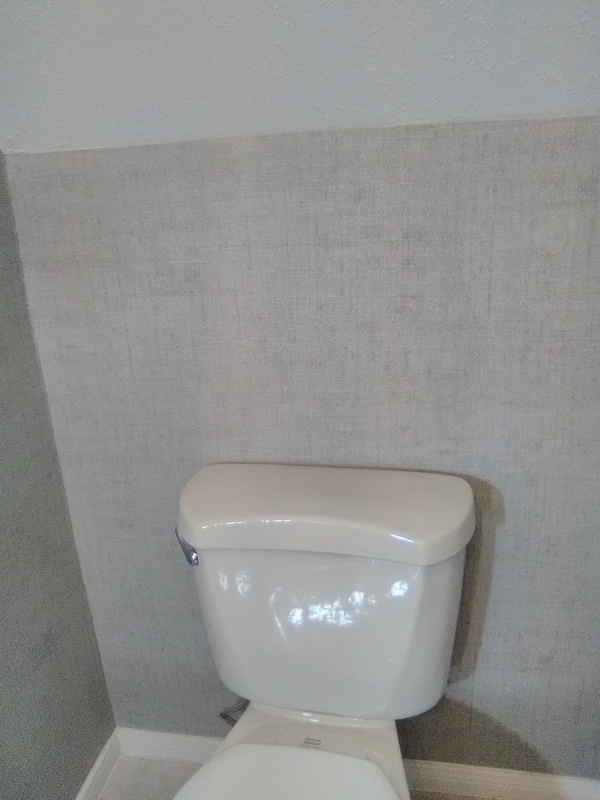 The backing was not non-woven material, but paper, and it soaked up paste like crazy, to the point where there was nothing left on the wall to hold the paper up. In addition, after I had the first two strips up and looking good, I looked back and saw puckers at the seams. The backing had soaked up paste, absorbed moisture, and expanded, which caused the pouches at the seams. I ended up taking those two strips off the wall and repasting them, then rehanging. I had to be gentle, because the wet backing could be fragile and delaminate from the surface. Since both strips were already trimmed, I had to carefully line them up at the ceiling and baseboard, while moving the second strip every so slightly to the right, to relieve the stress on the seam and eliminate the pouching. Because the paper backing appeared to be what is typically used with grasscloth (which is generally pasted on the back), and because of the expansion when wet with paste, it was obvious that this product was not suited for paste-the-wall and dry-hanging. 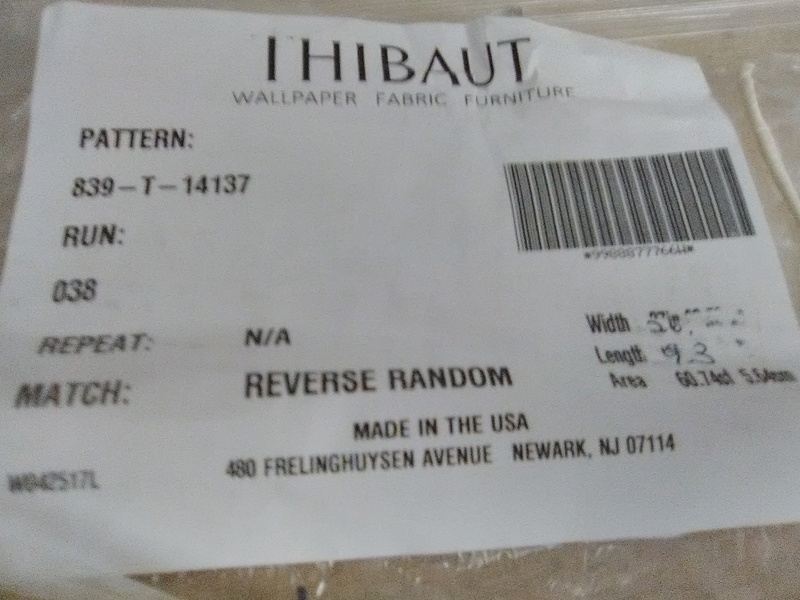 Someone at the factory got his instructions mixed up! 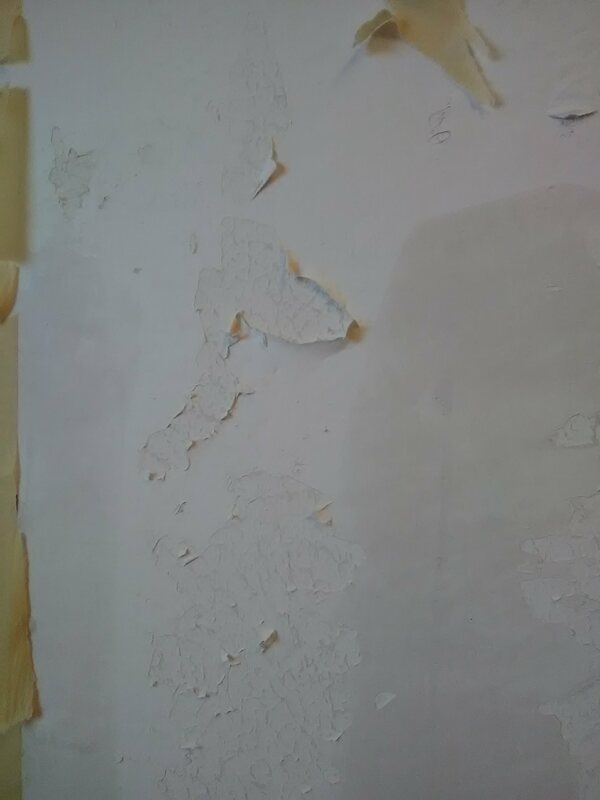 My solution was to roll out each strip and lightly sponge the backing with a damp sponge, then let that sit to absorb moisture and expand a bit, while I rolled paste onto the wall. Because I knew the backing was thirsty, I used more paste than I had with those first two strips. This proved to be the answer, and the remaining strips stuck to the wall nicely, and there was no more puckering at the seams. There were, however, a lot of areas at the seams that did not want to lie down. I had to do a lot of repasting and reworking the seams. 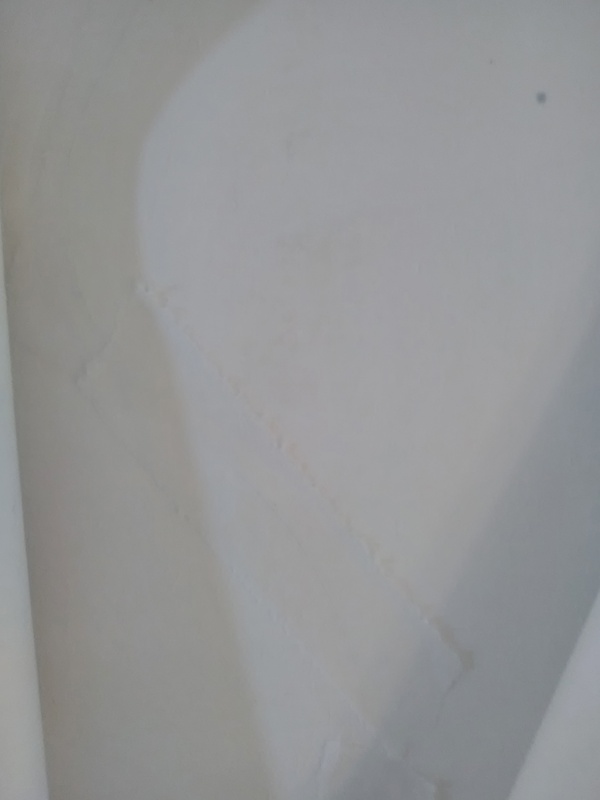 This is not good, because overworking can cause burnishing, and can even push paste out from under the seam, and which could cause the seam to open up over time. As noted on the instructions, some of the lotus leaves were fatter than others, so there were areas at the seams that were thick butting up against areas that were thin, which made it look like the seam was popping open, even though it was nice and tight to the wall. 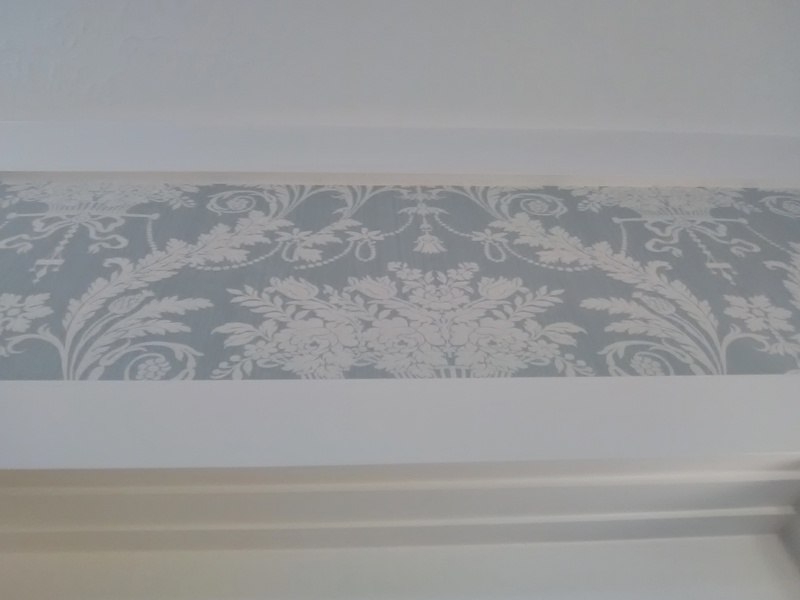 O.K., let’s see what else happened with this stuff … It was thick and stiff, and difficult to press tightly against the ceiling and baseboard, and therefore difficult to get a nice, tight horizontal trim. 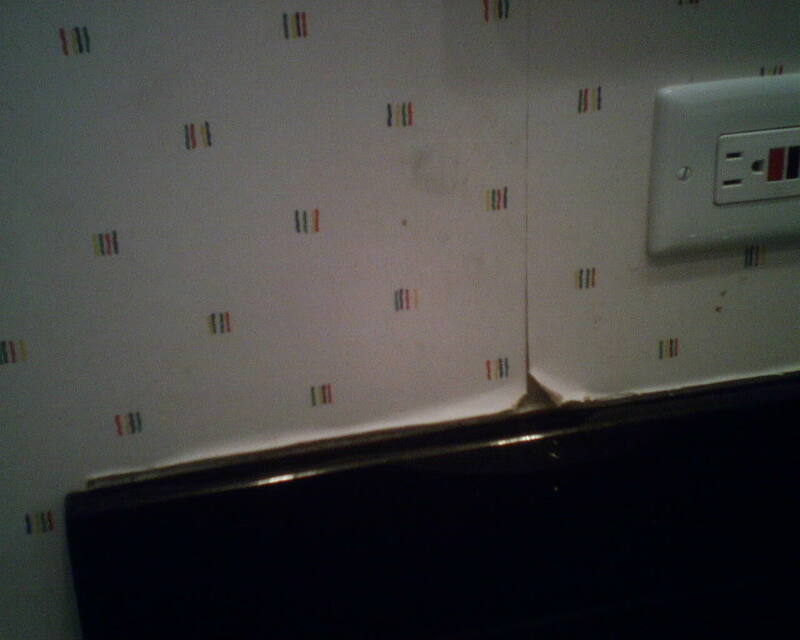 The vertical trims where the paper met the corners of the wall were even more cantankerous. 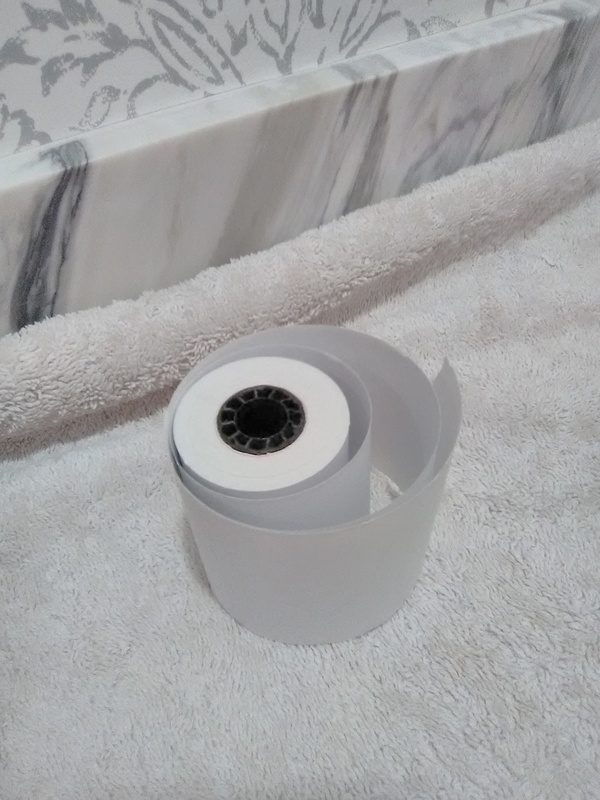 The material didn’t want to fold into the corner, and it was difficult to cut perpendicular to the grain of the material, even with a brand new razor blade. Manipulating the piece so it I could trim it and so it would fit nicely into the corner resulted in some abrading of the dye from the surface, as well as some minor blemishes on the surface. 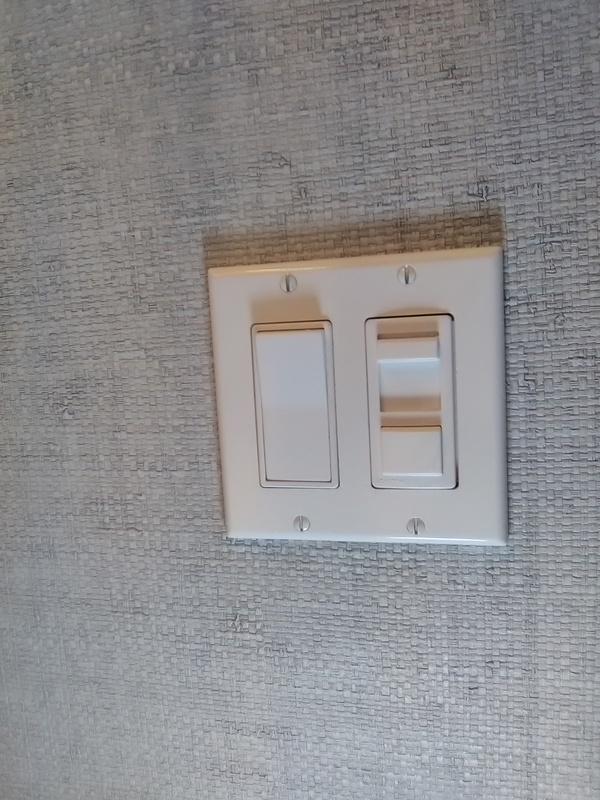 It’s no wonder that the manufacturer said to not wrap corners, but to cut the material and start each wall with a new strip. I hung this on one accent wall with no obstacles. But I would definitely not want to hang it on all the walls in a powder room, for instance, or where I’d have to cut around corners or a pedestal sink or intricate carved moldings, or the like. Bottom line: I’m glad I got the experience of working with this material. But I’m not 100% happy with the way it turned out. The manufacturer should work out some kinks, and should provide correct installation instructions. The homeowner, though, doesn’t see these little things that I see, and she is quite ticked with her deeply-hued, uniquely-textured, accent wall in her bedroom. This wallpaper is by York, in their Designer Series, and was bought at a discounted price from Dorota Hartwig at Southwestern Paint on Bissonnet near Kirby. (713) 520-6262 or dorotasouthwestern@hotmail.com. She is great at helping you find just the perfect paper! Discuss your project and make an appointment before heading over to see her. 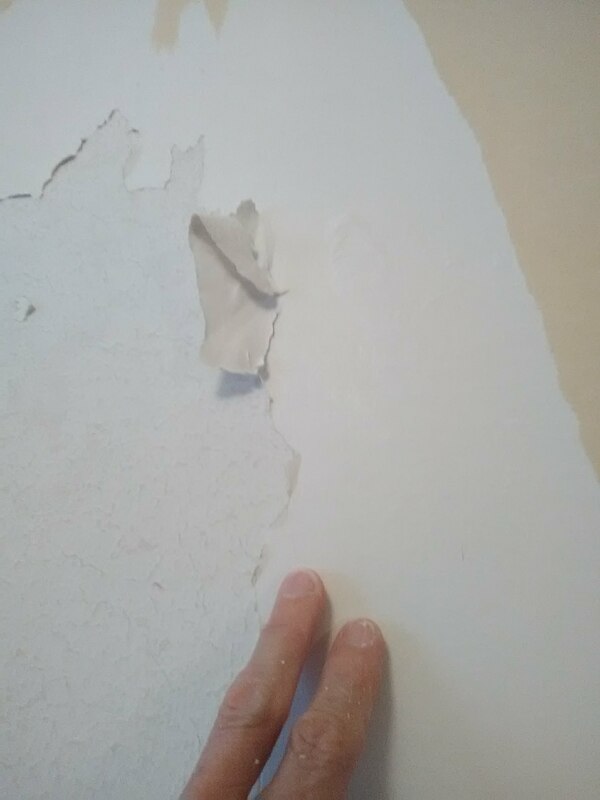 My previous post talked about smoothing a textured wall, so that the new wallpaper would have an intact surface to hold on to, and so that ugly bumps would not show under the new paper. I did the same thing today, in a large powder room with 10′ high ceilings, in a new home off Fannin, south of Loop 610 in Houston. 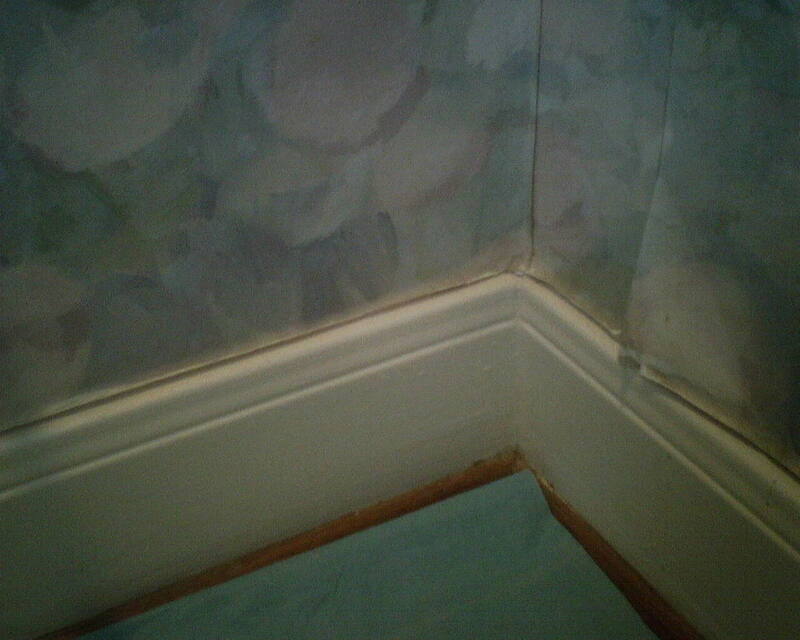 Once the walls were sanded and wiped free of dust with a damp sponge (rinsed frequently) (a crucial step, because any dust left on the wall can, when paint or primer or wallpaper is applied, delaminate, which means to pull away from the wall, which results in curling or loose seams on the wallpaper). Anyway, once the walls were wiped and then dried, I rolled on a primer. 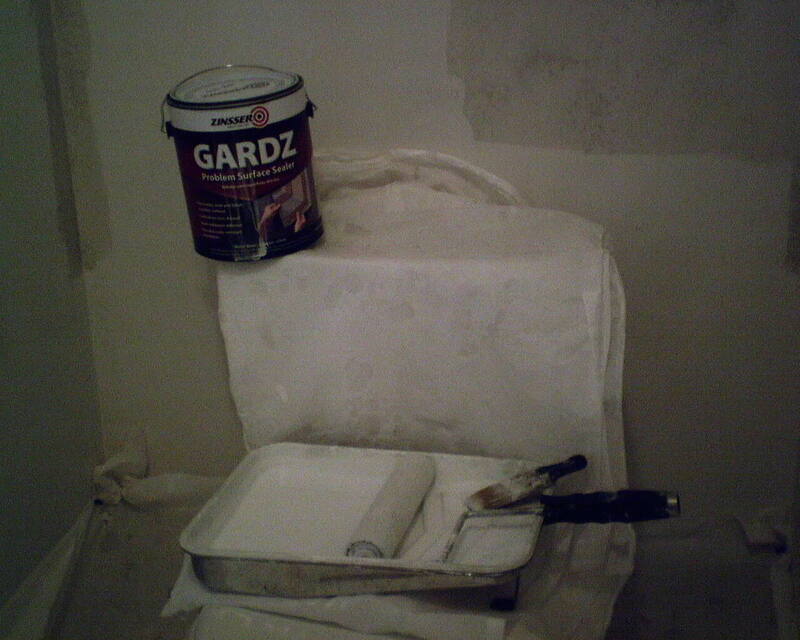 While I use different primers for different situations, when I have newly floated walls, as in this case, I like to use Gardz (see photo). Gardz is thin and watery and soaks into porous surfaces, such as the thirsty joint compound in this newly smoothed wall. Then it dries very hard and solid, binding everything together, and doing a super job sealing the surface. 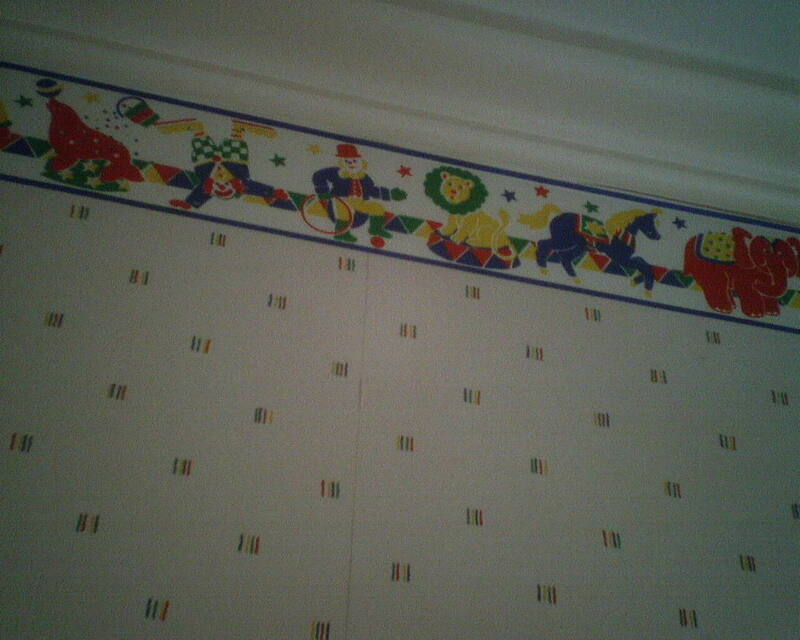 It also lends a wonderful surface for wallpaper to adhere to. In the photo, the areas that are white are unprimed, and where the Gardz has been applied but has not yet dired, you see grey. When the Gardz dries, it will be clear. The surface will look a little irregular, because you see white areas where the join compound is thicker, and the paint color where the joint compound is just thin enough to skim over the high points of the textured wall.